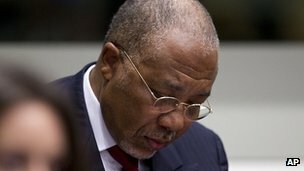 The Special Court for Sierra Leone made its final major decision on 26 September 2013 when its Appeals Chamber upheld the 50-year sentence handed down to former Liberian President Charles Taylor. (Photo: Lans Gberie). The court, ruling in April 2012, found Mr. Taylor guilty of five counts of crimes against humanity, five counts of war crimes and one count of other serious violations of international humanitarian law perpetrated by Sierra Leone’s Revolutionary United Front (RUF) rebels, who he supported. Taylor was tried in The Hague under a special arrangement with the Special Court, and convicted for his role in the murders, rapes, and acts of terrorism against the civilian population of Sierra Leone during a vicious civil war from 1991 to 2002. He was also found guilty of recruiting children under 15 years as soldiers. The 2,493-page judgment found that Mr. Taylor was the main backer of the RUF, and was aware of its atrocities at the time. Mr. Taylor was transferred to a prison in the UK in October 2013 to serve the remainder of his sentence – the result of an agreement between the court and the UK government. By the rules of the UK judicial system, Mr. Taylor, 65, has 43 years left to serve and will only be eligible for early release after serving two-thirds of his sentence, at which point he will be more than 90 years old. The former Liberian leader is the first head of state, after Germany’s Admiral Karl Doenitz (who was convicted by the Nuremburg court after the Second World War) to be convicted by an international court for war crimes and crimes against humanity. Many have hailed Mr. Taylor’s conviction as a landmark achievement by the Special Court. The court’s other important achievements include first-ever convictions for attacks against UN peacekeepers, convictions for forced marriage as a crime against humanity, and for the recruitment of children for combat. They are testimonies to the determination of the court’s prosecutors and judges, but also to the rather protean nature of the court’s mandate. Some of the court’s creators initially fretted about its apparent overreaching, and none was pleased that it lasted three times longer than planned and cost more than anticipated. UN Secretary-General Ban Ki-Moon in December hailed the court’s “impressive legacy” and its role in advancing the global quest for accountability. Still, many Sierra Leoneans see the court as a result, not the cause of the country’s peace and stability. The Special Court for Sierra Leone was established by an agreement between the UN and the Sierra Leonean government on 16 January 2002, the month that the country’s civil war officially ended. Meant to last for only three years with an initial budget of $75 million, the court formally closed in December 2013 after spending about $300 million. The Court’s custom-made compound in Freetown is a massive fortification of high walls topped with barbed wire, and its own prison house. The premises cost $3.5 million, minus the land. Mr. Kabbah would, in his memoirs, “Coming from the Brink”, profess to be “stunned and upset” by some of the court’s activities. The president’s “buyer’s remorse” can, of course, be dismissed as an example of a parable of wishes granted—like King Midas, he merely got it in excess. The point is that once David Crane, an energetic—not to say theatrical—American defence department lawyer was appointed as prosecutor, all pretence that Mr. Kabbah was even marginally in control of the court disappeared. David Scheffer, in his book, “All the Missing Souls”, says that the US and the UK were the main backers of the court. Mr. Scheffer, the first US ambassador for war crimes throughout President Bill Clinton’s second term, decided that the court was to be sui generis, meaning that it was to be very different from all other tribunals. It was to be wholly limited to the Sierra Leonean context. It wasn’t to have any overarching ambition. Particular effort was made to present the Special Court as UN-backed to distinguish it from the International Criminal Court (ICC) and the tribunals for the former Yugoslavia and Rwanda. It wasn’t given the status of Article VII of the Rome Statute that established the ICC, which would have made its funding and compliance with its rulings mandatory as a UN Security Council instrument. Funding was to be by voluntary contributions from member states, which meant that those with the most geopolitical interests in the sub-region, the US and UK, would be the key funders. The court was to be governed by a management committee comprising these countries as well as Nigeria, which, as the key peace-enforcer in Sierra Leone, also had an important interest. The statute of the court ruled out prosecution of peacekeeping troops, to Nigeria’s relief. The involvement of the government of Sierra Leone was limited to a provision in the court’s statute for the government to appoint the deputy prosecutor and two of its six judges. Critics soon began to note that a judge at the court—paid $240,000 tax free per annum plus huge allowances—was earning several times more than the President of Sierra Leone. The office of the prosecutor’s annual budget of more than $4 million was more than the budget of the Sierra Leone Supreme Court. The Court’s permanent staff of 422, many of them foreign nationals, meant that about 70% of its entire budget was used up as salaries and bonuses. Though the Sierra Leonean war started in 1991, the court decided that prosecution would address only those crimes committed after the signing of the first (failed) peace agreement, the Abidjan Accord of November 1996. 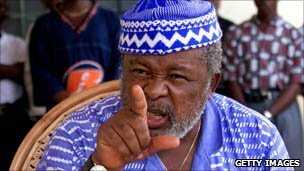 On 7 March 2003, Mr. Crane announced the first set of indictments, which included members of the RUF, the Sierra Leone Army and the Civil Defence Force (CDF), which resisted the RUF. 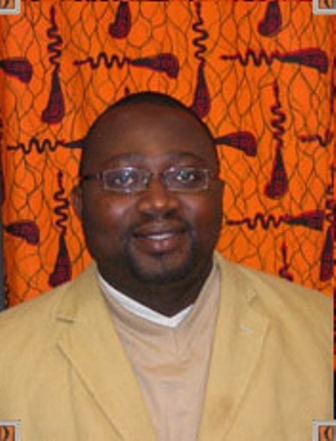 In all, the court would indict 14 persons, of which two—the RUF leader Foday Sankoh and his former commander Sam Bockarie—died before their trial began. A third, Hinga Norman, the putative leader of the CDF and cabinet minister in President Kabbah’s government, died during his trial. Clearly the indictment of persons from all armed groups was meant to create an impression of even-handedness. But it puzzled many in Sierra Leone who considered the CDF as a heroic civil militia which battled to protect civilians and helped reinstate Mr. Kabbah’s government after it was overthrown in 1997. The proceedings of the court as well as its judgments benchmarked a new legal contrivance: “Joint Criminal Enterprise” or JCE. This concept was first used by the International Criminal Tribunal for the former Yugoslavia (1991-1999). It considers each member of an organized group individually responsible for crimes committed by that group within the “common plan or purpose”. It is an ingenious way of de-legitimising leaders of violent groups and critics note that it can easily translate into guilt by association. The court entered convictions in all the cases it tried – an extraordinary achievement indeed! However, as important as Mr. Taylor’s conviction and sentencing are, as well as those of others, it is unclear what impact these would have on other powerful politicians in the region. Mr. Taylor was tried for supporting a foreign war, not for the crimes he committed in his own country. Liberia’s civil war killed far more people (about 200,000) than Sierra Leone’s (75,000). But no one has faced justice for the atrocities committed in Liberia, which have been documented by the country’s Truth and Reconciliation Commission in a 2009 report. Still, an important argument for the Special Court’s legacy is that it demonstrated that no one is above the law.